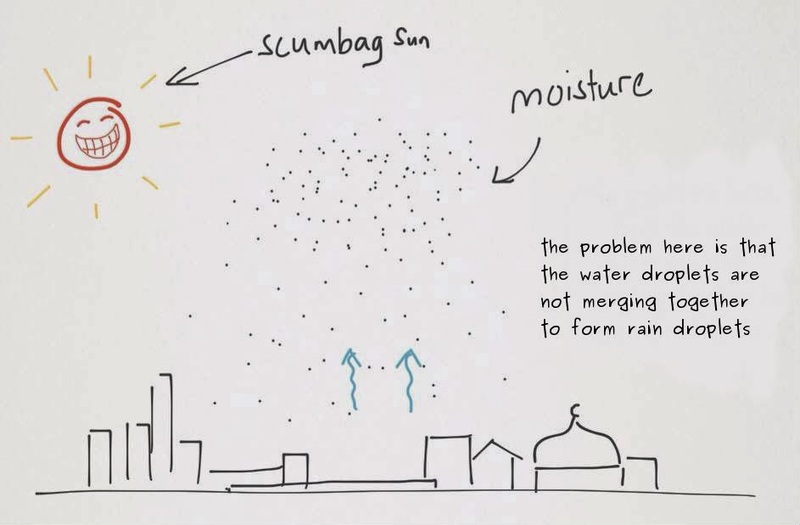 I'm Curious Too: How Does Cloud Seeding Work? Hot weather is horrible. Prolonged drought is even worse. Last month was the driest February in Malaysia for the past ten years. Water level at the Klang Gates Dam has dropped to a 10-year low, forcing the authority to begin rationing water supply. The dry spell has not only sucked up precious water, it also transformed the landscape: grass and trees have dried up and there were more than 7000 calls received by the Malaysian Fire and Rescue Department involving bush fire nationwide since the start of February. And the already desperate situation was made worse by the gratuitous smog coming from the ever generous neighbouring Indonesia. In short, we were really desperate for rain. And thank god it came. 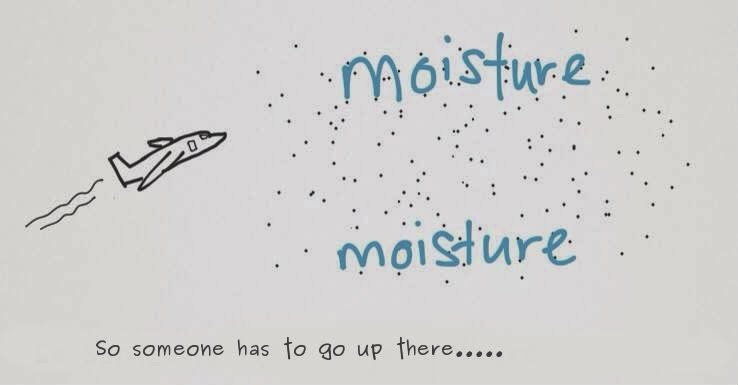 The meteorological department has recently launched a cloud seeding operation to induce precipitation, resulting in a much needed downpour - albeit only for an hour - yesterday. But hor, don't just enjoy the rain la har, do you know how does cloud seeding work? Despite the dry weather, there is still some moisture in the air. When we look up to the sky we can still see clouds lingering lazily above. 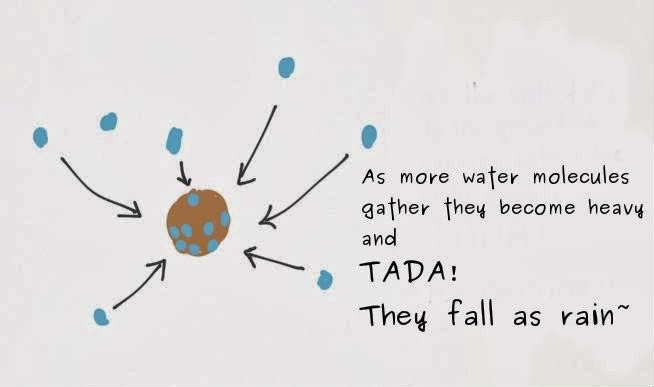 So the problem here is that the water droplets are not heavy enough to fall as rain because they are not merging together to form rain droplets. 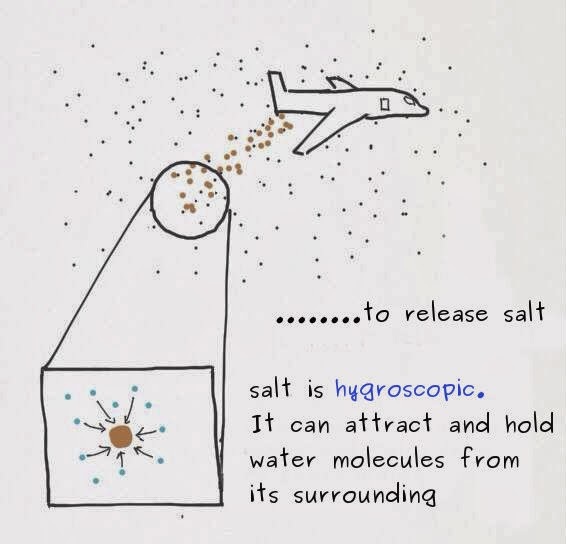 Salt is hygroscopic, meaning it readily attracts and holds water molecules from its surrounding. By the way, be tight with your tap. Use water wisely, not freely.